Do you feel that there is something missing in your life or that there has to be something more out there? 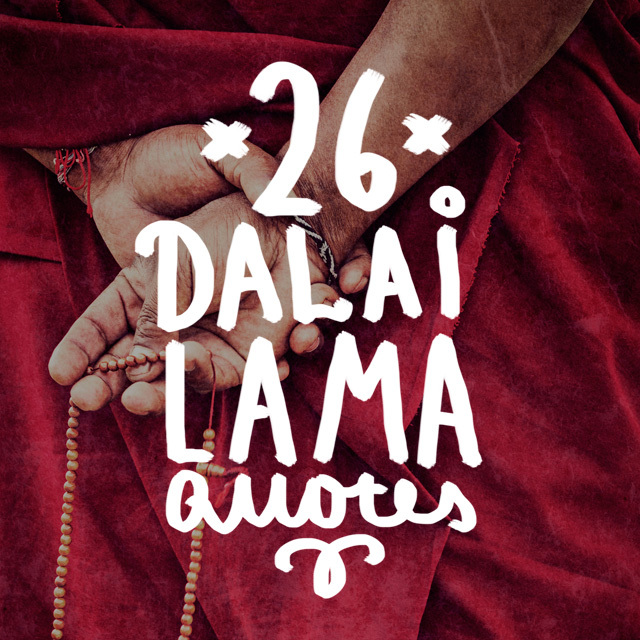 Scroll through these Dalai Lama quotes to see if you can’t find the perfect message to bring some clarity and peace to your soul. If you go seeking happiness, you might find it. However many times it comes when we are not even looking for it. Being happy is truly a choice and a decision in each moment. 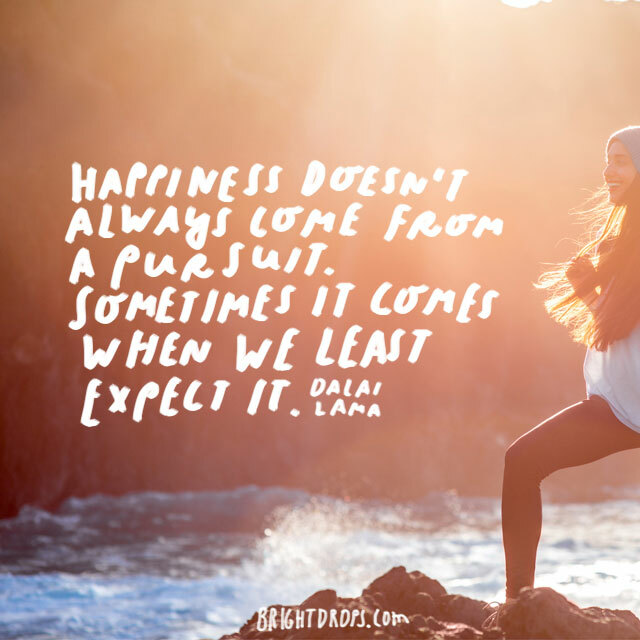 If you’re seeking happiness, then set it aside and wait to see if it comes to you. Anger and hatred are very powerful emotions that make it easy for even the nicest of people to be swept up into. 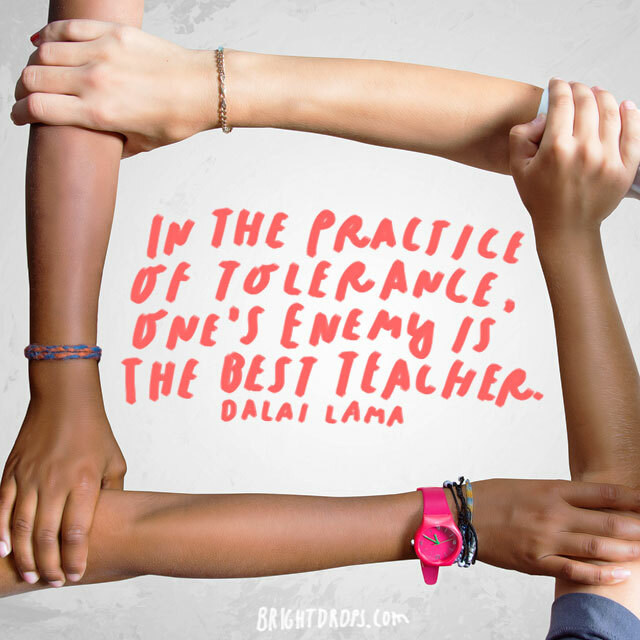 It can be very difficult to disengage from deep anger and hatred. 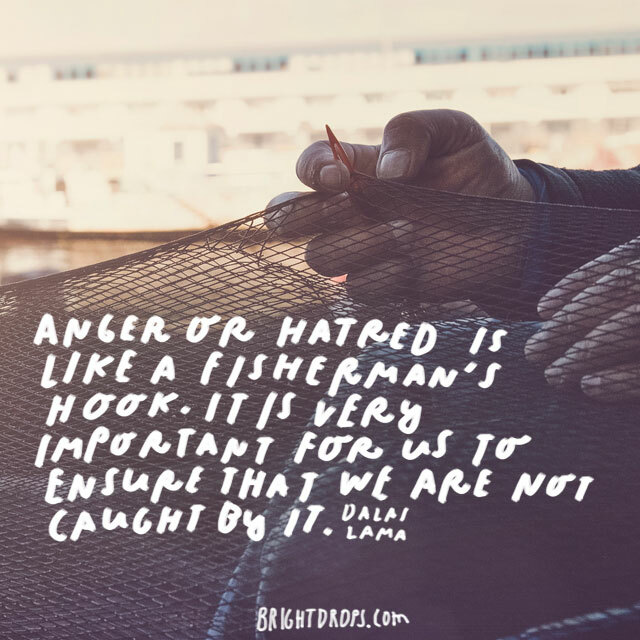 Try to keep anger and hatred at bay by practicing as much kindness and compassion as you can. 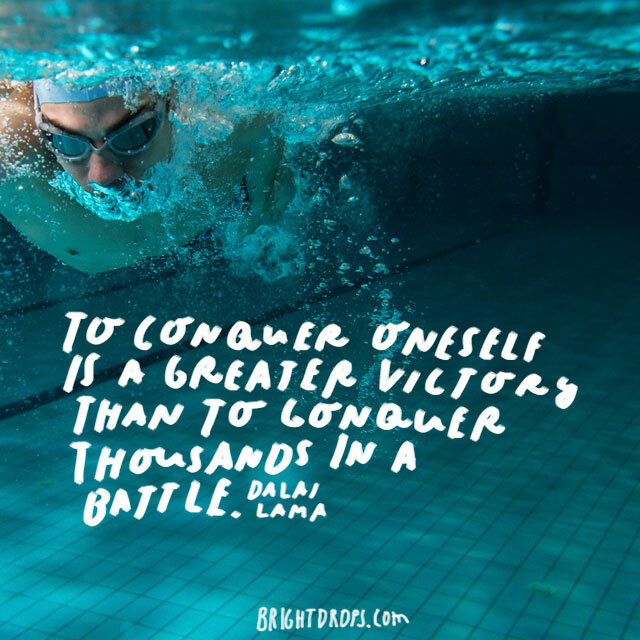 Conquering the self is one of the most important things you can do on your path to self-discovery. One must try to conquer the ego and the darker parts of themselves to truly see the light. Conquering others is easy with a misuse of power and energy, but conquering the self is where the true battle lies. 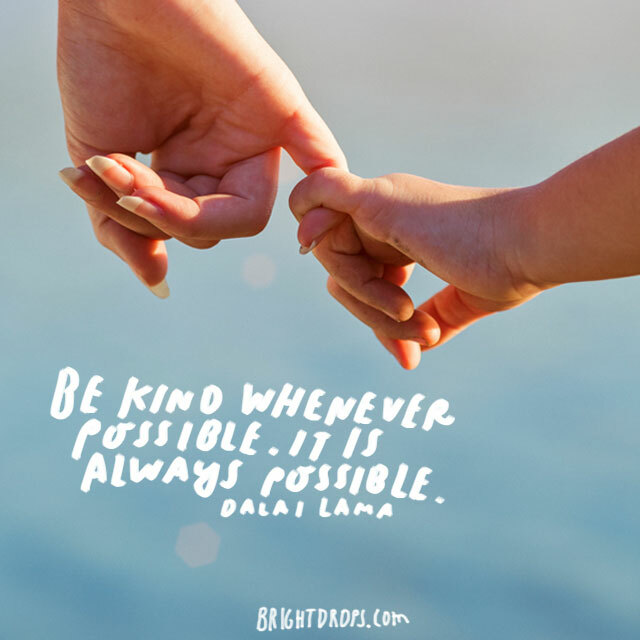 Dalai Lama quotes often carry a flavor of kindness and compassion Being kind can be as simple as putting away your spouse’s laundry, thanking the store clerk by name, or even simply holding the door open for someone. 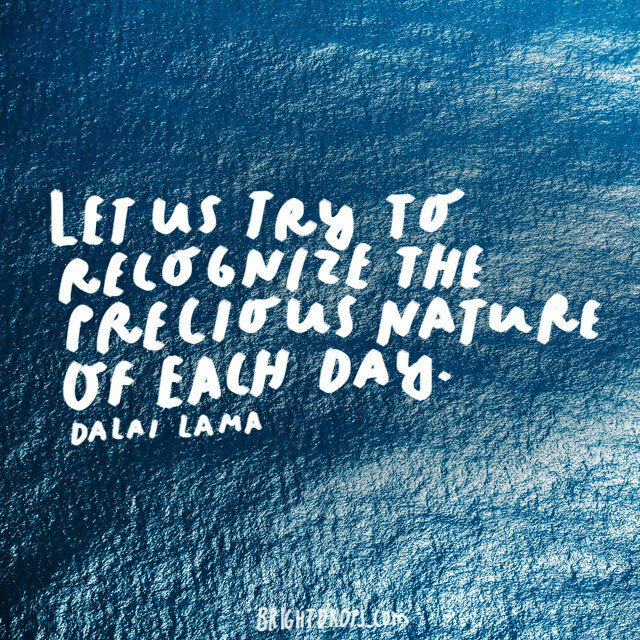 Every day there are many ways for you to practice kindness and compassion towards others. Happiness is not something someone will just handed to you. You must decide to be happy each day and you must engage in actions that will bring you happiness. 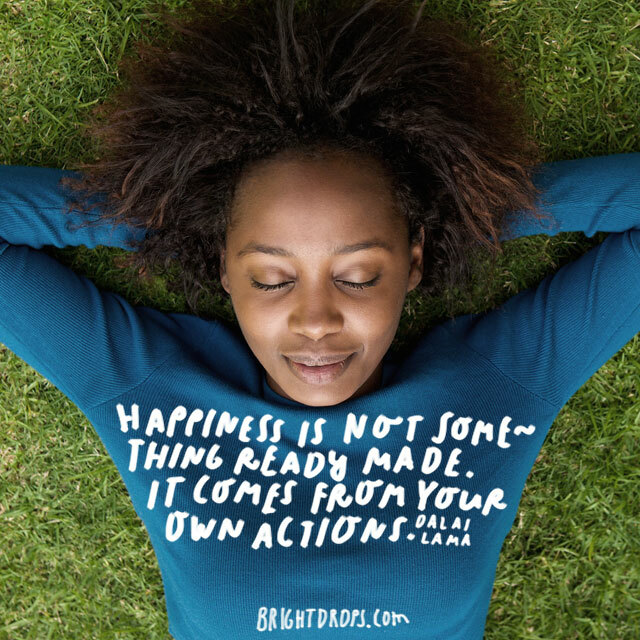 Choosing to finish a project, attending a birthday party, or making a gift for a friend, all of these things create happiness from your own actions. Compassion is not about others, it is about yourself. When you feel compassionate with others you have a softer and more loving heart. 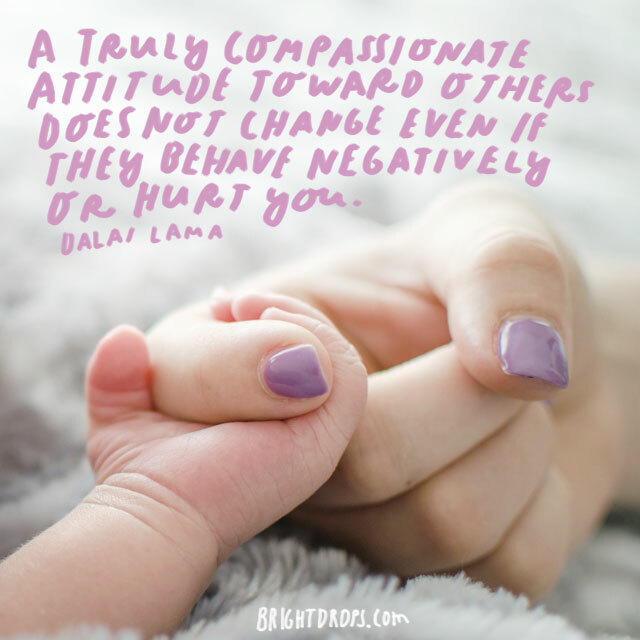 Even if someone is behaving negatively, you can still feel compassion it for them. It might take a lot of effort on your part, but it is possible. 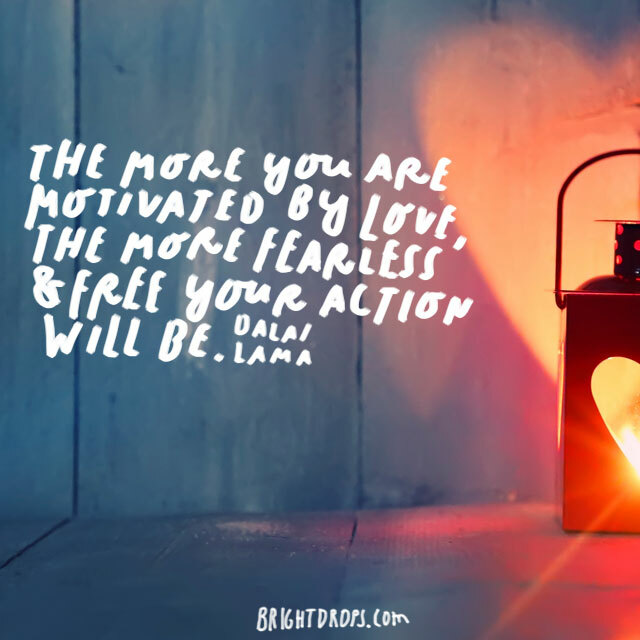 Love is the great motivator. Love is what brings us together in unity consciousness on this earth. The more you let love drive your actions, the more courage and tenacity you will develop for the ups and downs of life. Operating from your heart space is a valuable skill to learn. True love really is when we are able to be with someone and love them without judging them. 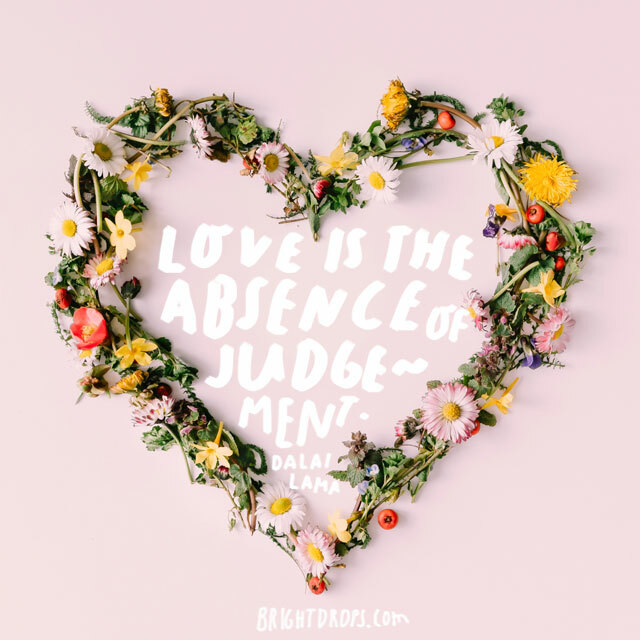 There should be no difference between love and unconditional love, all of love should be unconditional and that simply means there is no judgment in loving someone and you love them exactly as they are. 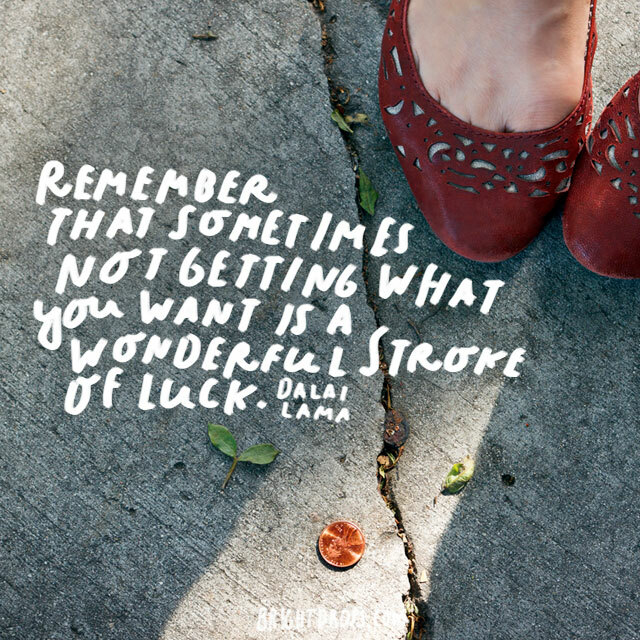 You might think you know what you want all the time but sometimes the Universe/God knows a little better than you. 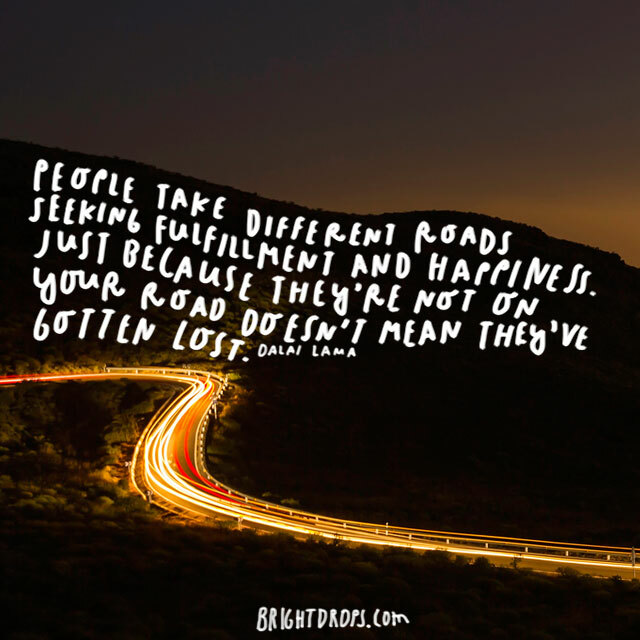 Perhaps by not getting what you wanted you avoided certain drama or travel down the road. Sometimes not getting what you want leaves the opportunity open for you to get something even better. Even if you feel you are too small to make any kind of difference in this world, it is untrue and you are worth more than you might feel. 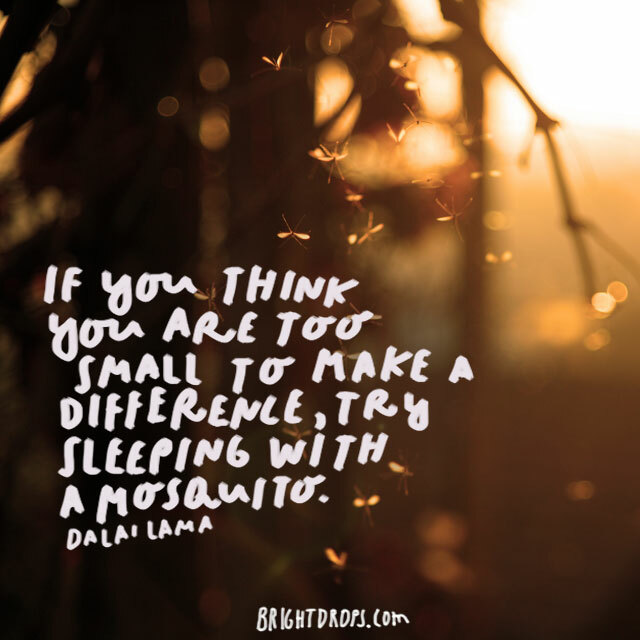 Every person you come into contact with gives you a chance to inspire, support, or connect and you can make a bigger difference than you might ever realize. 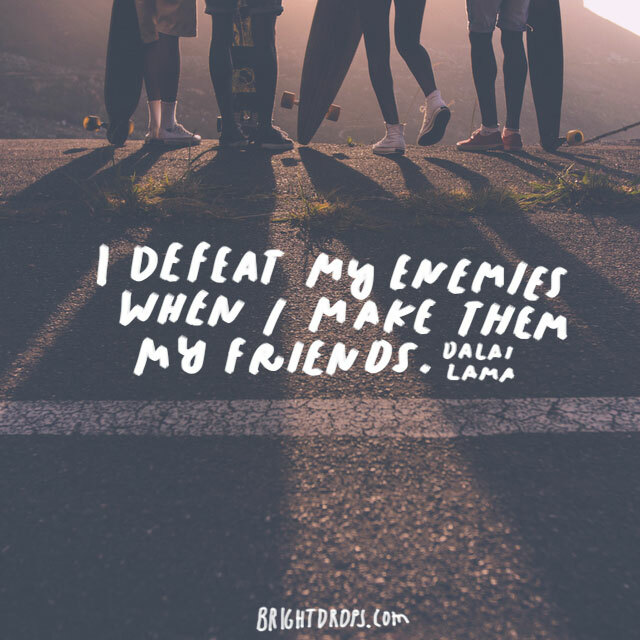 It is easy to conquer enemies through fear and anger, but a more worthy goal is to conquer enemies by making them your friends. It doesn’t mean you have to like everybody 100% all the time, but if you can be friendly with those who you don’t particularly like, that’s a level of maturity that many people reached. If the actions of others are determining your emotions and responses, then you have given your power away. 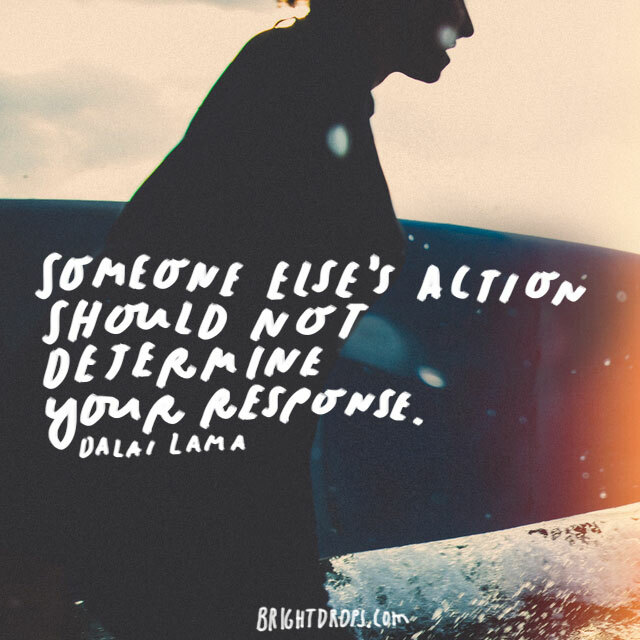 You should be the one to determine how you’re going to respond in each situation. No one has control over your emotions or your reactions but you. Take your power back. 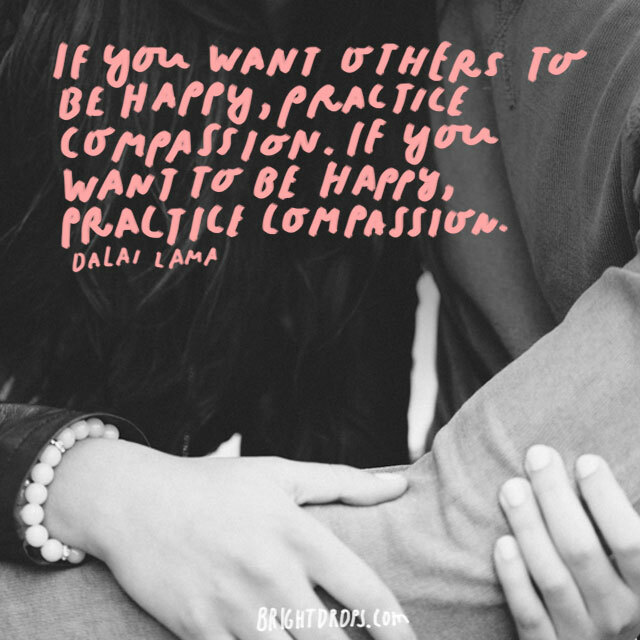 Compassion really is quite powerful practice. It helps people feel understood and validated, as well as appreciated and accepted. When you practice compassion for others and yourself there’s a level of love, softness, and forgiveness that can come into play. This kind of positive energy contributes to love, light, and healing in the world. 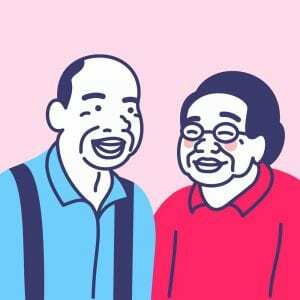 Human affection is extremely important to emotional well-being. There have been studies that show how children suffer emotionally without human touch and affection. We are able to share energy with each other so go give somebody a hug today and exchange some energy. 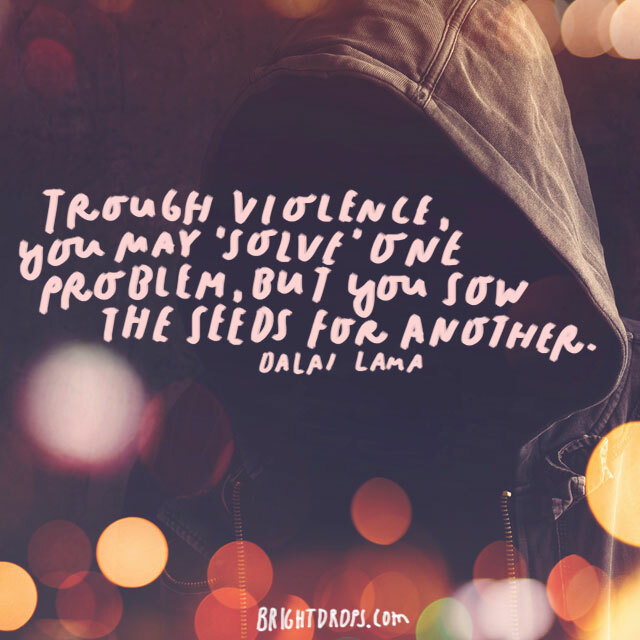 Violence does nothing but create breeding ground for even more violence and hatred. When something is solved with love and compassion, more problems do not arise. 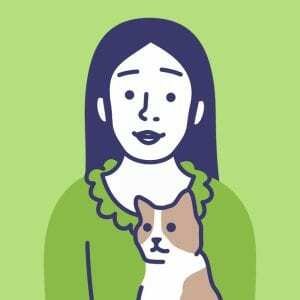 In fact, with kindness and compassion, many more problems might be solved not only more easily, but more quickly. 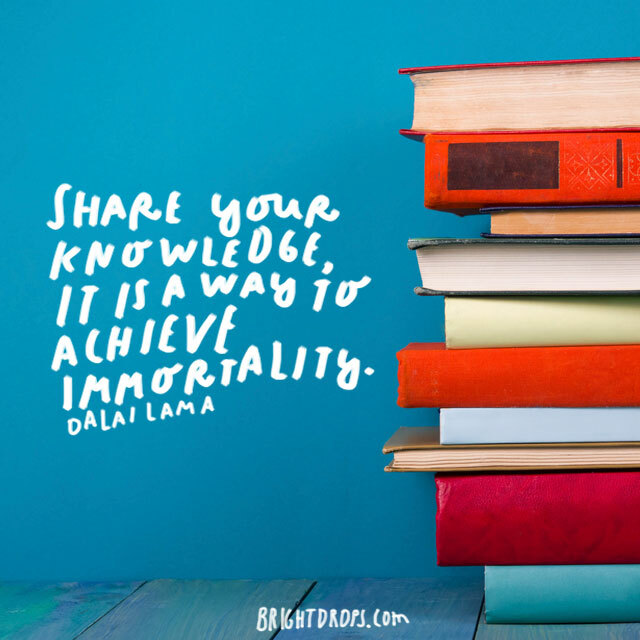 If you share what you’ve learned with others, then your wisdom and words will carry on after you die. In a sense, this is immortality. Sharing wisdom and knowledge brings us together in unity consciousness and allows the our world to shift and be uplifted. It can be very easy to assume that what is right for you is right for most. It is the way that wars have been started all around the world in the name of religion. There are many paths in life that lead to the same place, just because someone has a different path than yours does not mean theirs is wrong. To love makes one quite vulnerable, and to achieve something great also makes one quite vulnerable from time to time. 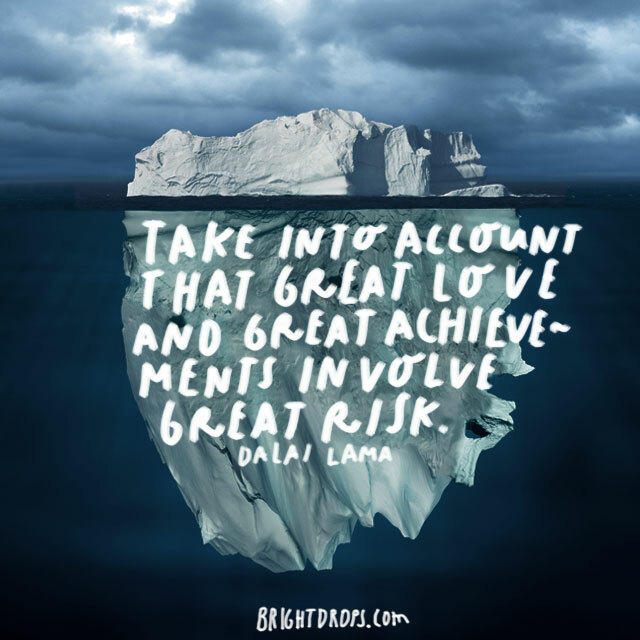 There is much you can risk by making yourself vulnerable while loving or achieving greatness. Just note that many of the risks are worth it. Love and compassion should not be a choice and should be something we act on out of pure habit every day, with everyone we come into contact with. Humanity would degrade even further than it has been without love and compassion within our communities. 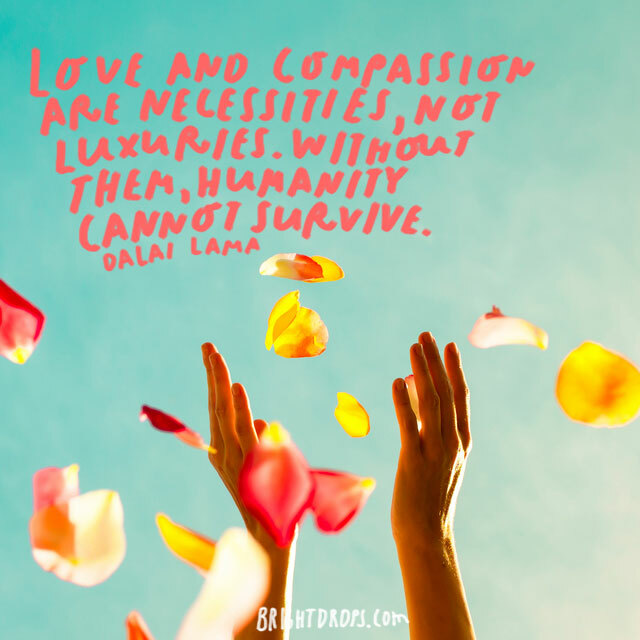 Love and compassion are essential to human life. Each day brings new opportunities for you to choose to be a better version of yourself. Each day is precious with life, love, laughter and joy to experience. Jump into your day to day with both feet and enjoy it to the fullest. If your day is done, then make a commitment to do so tomorrow! Being pessimistic is quite exhausting! Anger affects the liver and negative emotions cause disease in the body over time. 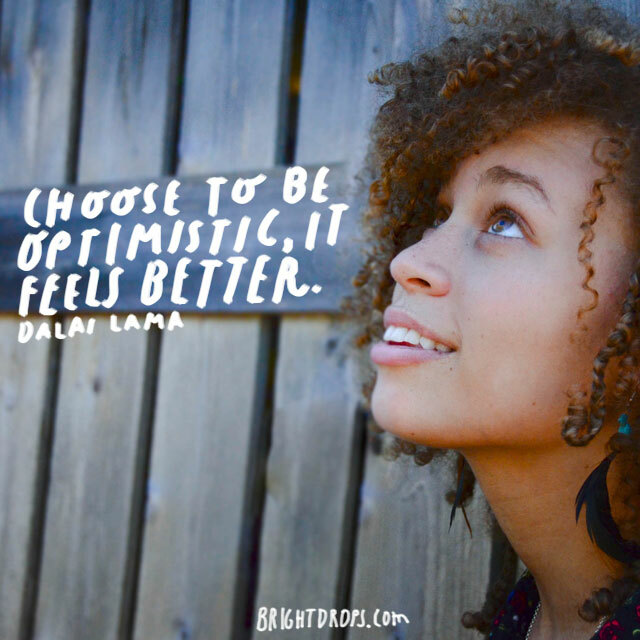 It is much easier and it feels so much better to be optimistic, so put on your happy face and get to it. What have you got to lose? This Dalai Lama quote seems a bit odd. We wonder what rules he has broken himself! 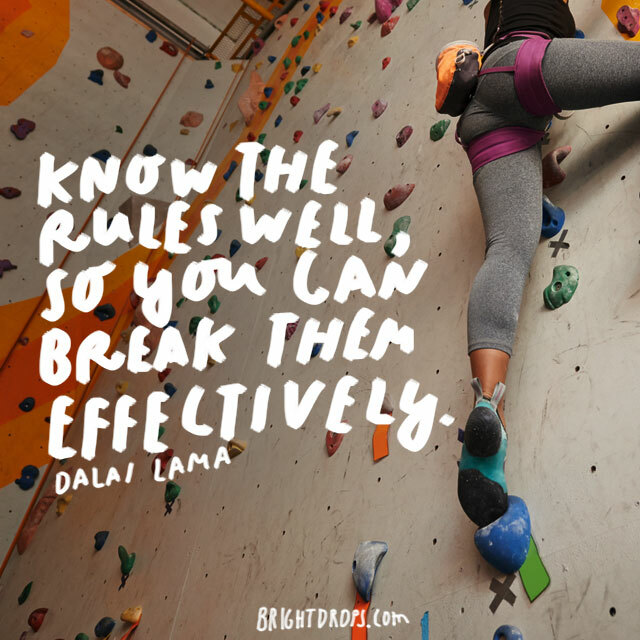 If you know the rules inside and out, when you are in a position that you need to break them, or want to break them, then at least you can do a darn good job of it! 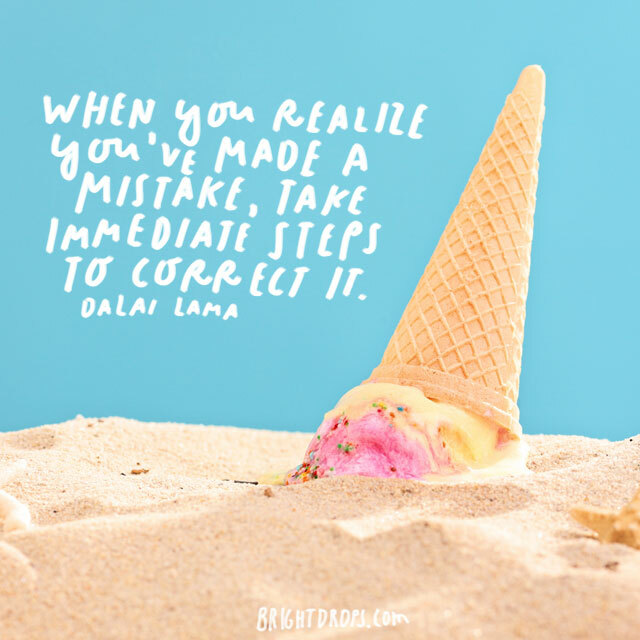 It is one thing to apologize for making a mistake, but true redemption comes from taking steps to make things right. This shows others that you are serious with your apology and are willing to make amends. 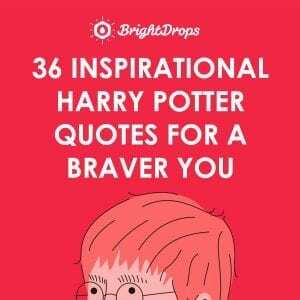 It can also make you feel better and allow you time to forgive yourself. Saying nothing sometimes is the best response. 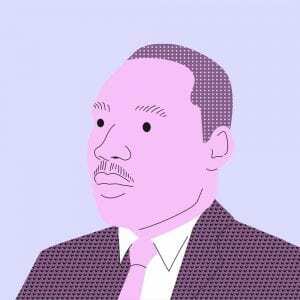 Perhaps you are too upset and angry so saying nothing is keeping the peace. Or perhaps not engaging with a negative person by keeping silent reduces the drama in your life. 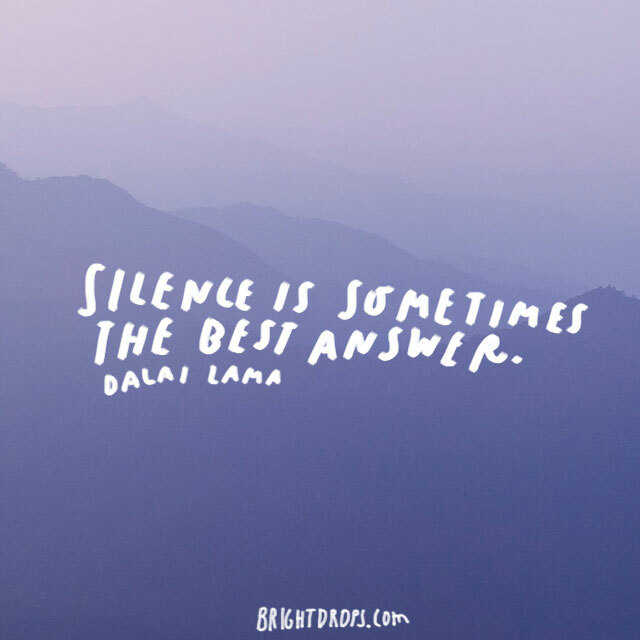 Whatever the situation you’re in, ask yourself if your silence would serve best. 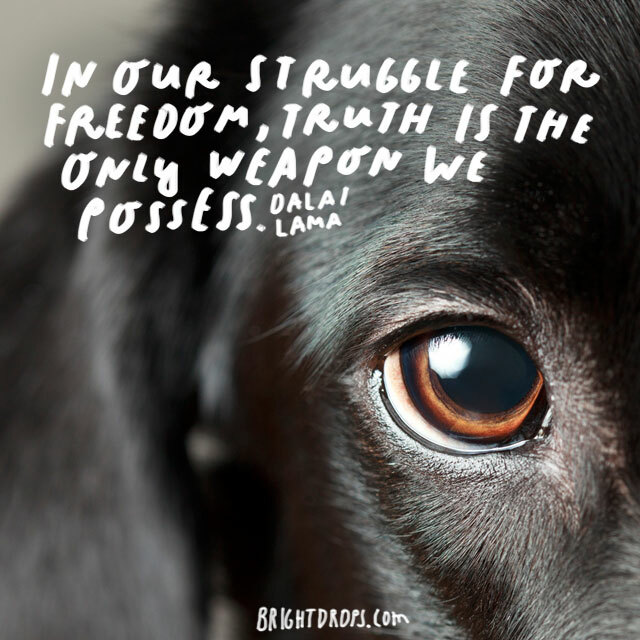 There is a lot of freedom in truth that is for sure. There are too many lies and manipulations out in the world by those who abuse their power. Always seek to find the truth not only with societal matters but within yourself. Truth is the best weapon you will ever have. Those that push your buttons are those that will be able to teach you the most about yourself and give you the best opportunities for growth. As you spend time around those you do not care for, practicing tolerance will only help make you a better person in the long run.